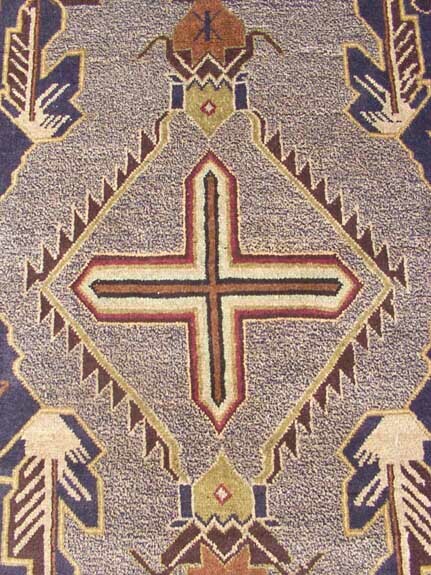 This is from a most unusual rug featuring unusual medallions all strung together. It is noteworthy that the bright colors in this photo are silk. New fangled medallion in Turkmen rug, basically a very unusual red rug. Eight lobed Baluchi medallion. Probably a cloud motif, in the Chinese 'Cloudband' tradition. 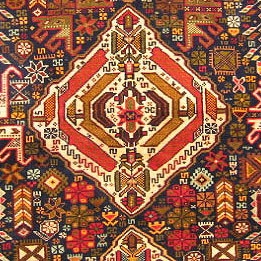 First example of geometric medallion. 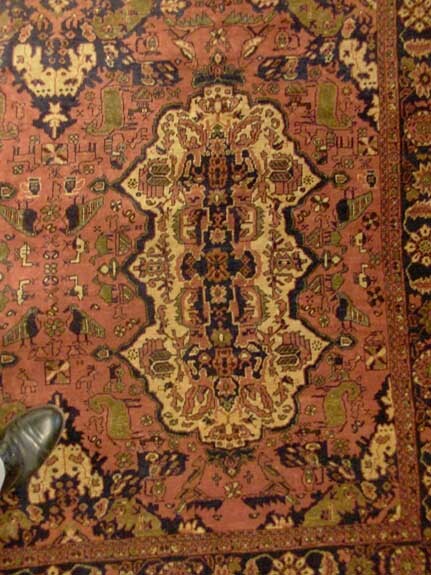 Excellent rug. 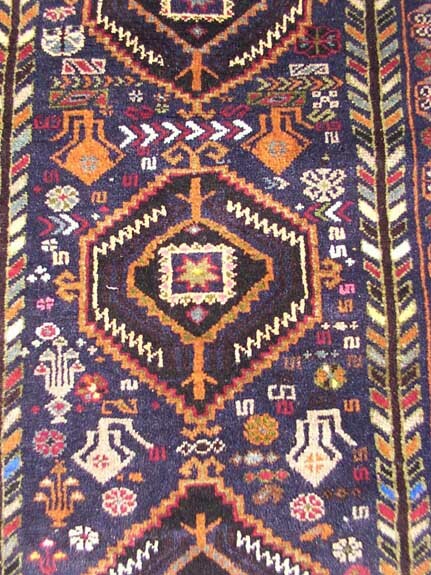 ""Checkered Field"" style medallion. Cruciform, nice colors. Template example of what warrug.com calls ""Small Floral Medallion"". 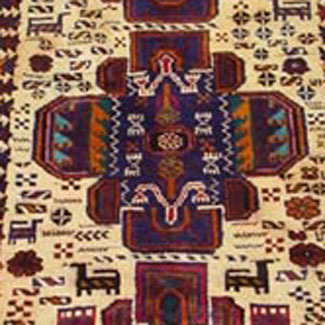 This rug is best quality, and quality is reflected in drawing. 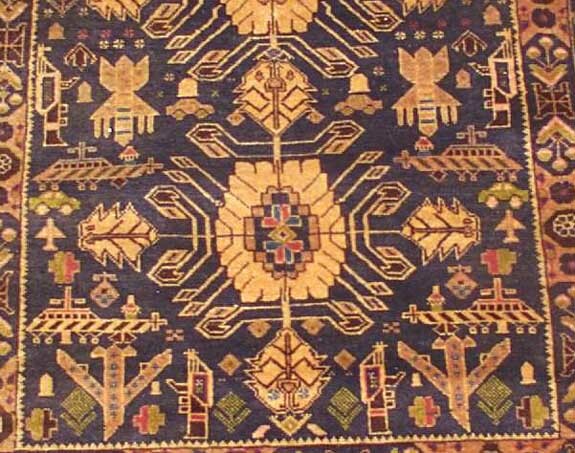 Best quality Khal Mohamadi medallion. Minor medallion, very beautiful and rare. 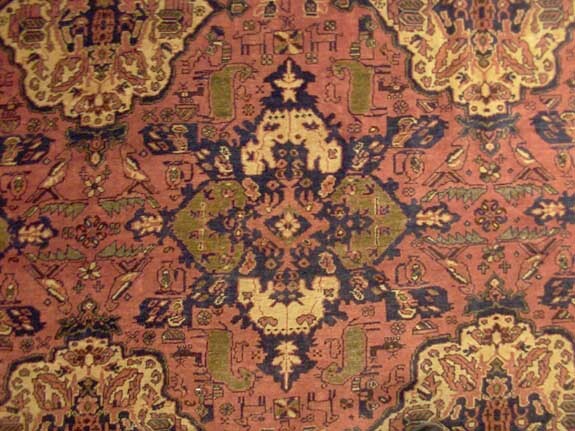 Geometric medallions have solid edges, are usually light colored, and contain peacocks and flower motifs.